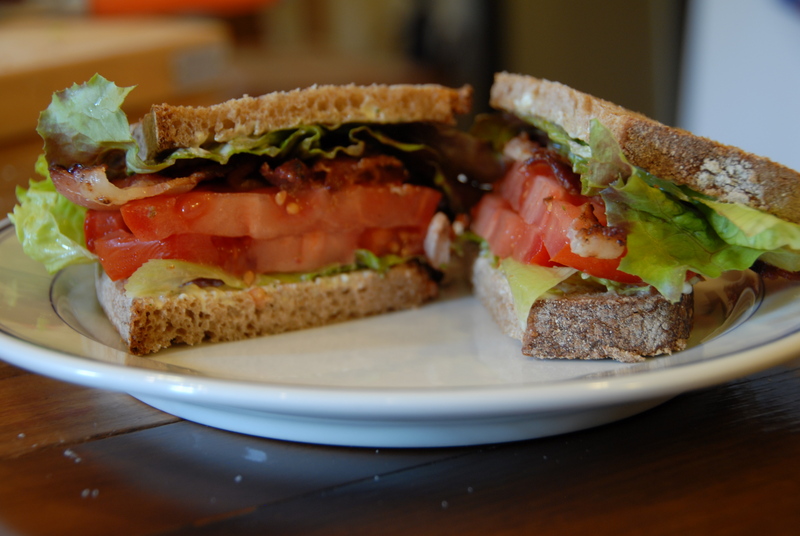 Sometime in the past year, I’m not sure exactly when, Hillary introduced me to the best b.l.t. I’ve ever had. A cute little spot located right in my neighborhood (dangerous) – Choice Market really knows what they’re doing. It doesn’t vary much from the classic except for the addition of a rosemary aioli but dang, it’s good. Thinking on greens this week somehow had me craving one of these bad boys. Instead of rosemary mayo however, I reached for the homemade pesto I had in my fridge. It was a good move. 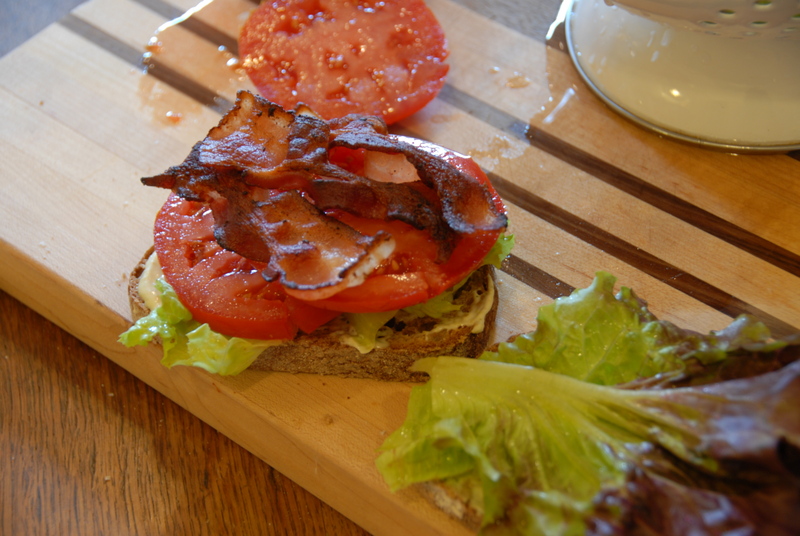 You know the drill – toast the bread, slather it with mayo, cut and salt (very important folks, it really amplifies the flavor) the tomato, cook the bacon, layer on the crisp lettuce and top with the other slice of bread. Now go ahead and take a bite. You earned it. 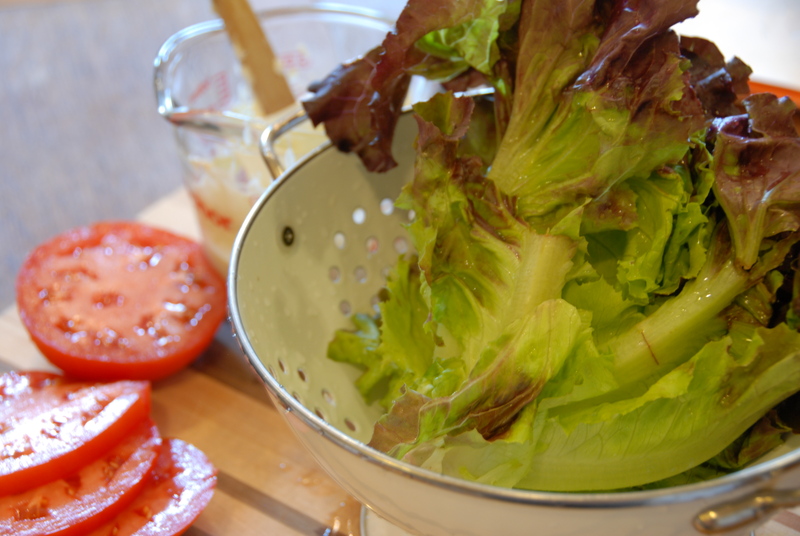 This entry was posted in Bacon, Greens, Tomatoes and tagged B.L.T., lettuce, lunch, mayo, sandwich, tomato. Bookmark the permalink. 1 Response to The B.L.T.